From a romantic hero to a brooding angry young man, Varun Dhawan’s transition has indeed been commendable. In his latest outing Badlapur, the B-town hunk has shed his chocolate boy image and that certainly has earned him a lot of accolades.The revenge saga co-starring Nawazuddin Siddiqui has not only impressed the critics but it has also pulled in crowd to the theatres. Despite getting an ‘A’ certificate from the Censor board, the Varun starrer has raked in over Rs 24 crore in just three days. While the film has done good business at the box office, it hasn’t broken the opening weekend record of Varun’s last film Humpty Sharma Ki Dulhania. Karan Johar’s production venture which released last year in July, collected Rs 33.74 crore in the first three days. As for Badlapur, well, its total three day domestic collection stands at over Rs 24 crore. 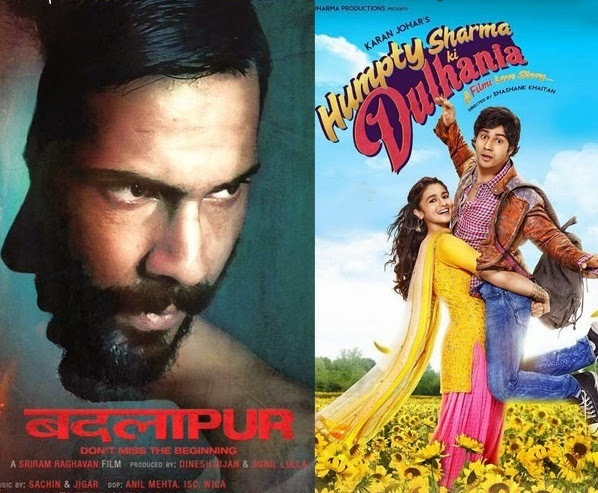 While Varun played the quintessential romantic hero in KJo’s film, in Sriram Raghavan’s Badlapur the B-town hunk plays a 40-year-old who is on a mission to avenge the death of his wife and little boy. Though Badlapur is behind in the numbers game, Varun surely has proved his mettle a versatile actor with this flick and that’s what everyone is talking about these days!